Carbon emissions from forest fires are considered an important factor of ecosystem carbon balance and global climate change. Carbon emissions from Japanese red pine stands (Pinus densiflora S. et Z.) burned by crown fire were estimated at Mt. Palgong in Daegu Metropolitan City, and crown fuel characteristics, including crown bulk density, crown base height, and fuel moisture content of Japanese red pine, were analyzed. Total biomass combusted was calculated by subtracting the biomass of burned stands from that of unburned stands exhibiting similar stand structures and site environments. Ten trees in the unburned area and five trees in the burned area were cut by using direct harvesting techniques to estimate crown layer biomass. All biomass sampled was oven-dried and weighed. The dry weight ratios of stems, branches, and needles were 70%, 21%, and 9%, respectively. 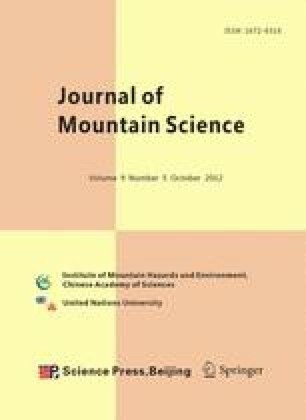 The available fuel load susceptible to combustion during the crown fire spread was equivalent to 55% of the crown layer biomass. The crown bulk density was 0.24 kg/m3 on average. The estimated amount of CO2 was 23,454 kg CO2/ha for the crown layer. These results will be useful for calculating the amount of CO2 emitted from forest fires and for developing a forest carbon model in P. densiflora forests. UNFCCC. 2007. Synthesis and Assessment Report. Preliminary findings on individual national GHG Inventories. Available online: http://www.unfccc.de. [Accessed on 2011-7-15].